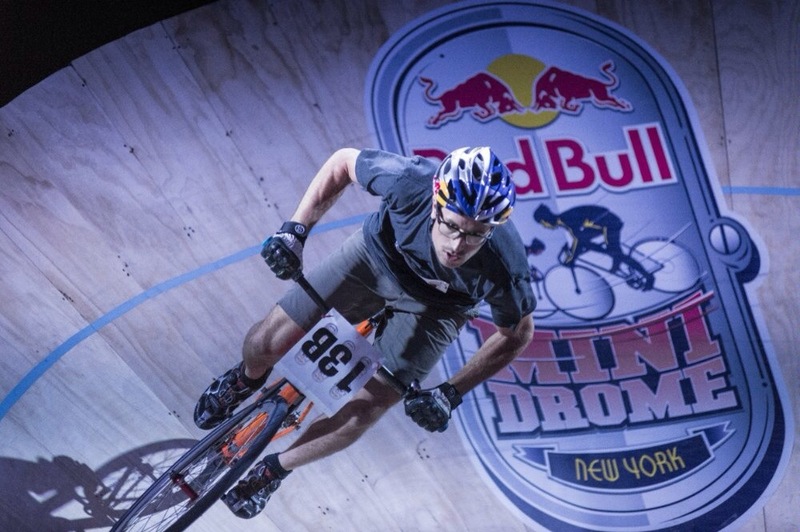 Friday night (6/27/14) was the Red Bull Mini Drome challenge in NYC. This event travels to cities all over the world and this was the second time around, held at the Brooklyn Masonic Temple in Crown Heights. 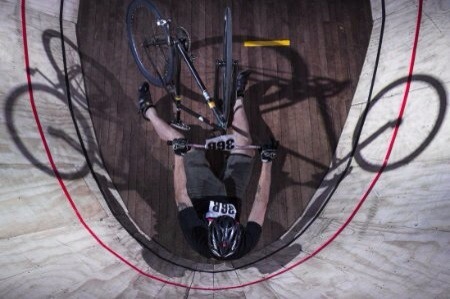 Urban riders and fixed gear freestylers go head to head on a tiny wooden veledrome. Although its small, racers can get up to speeds of 25 mph, riding laps on ultra tight, banked curves. Very little room for error so the race is as much mental as physical. This year was also a bit different with riders forming teams of two. 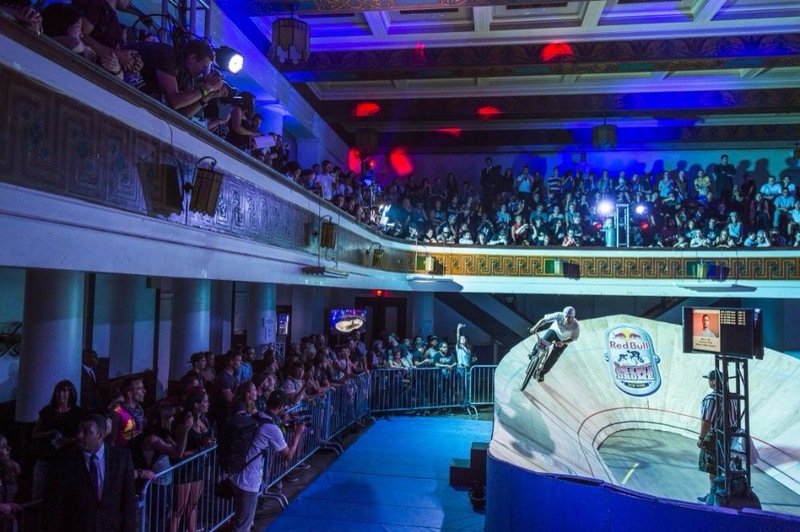 Hundreds of New Yorkers packed in the Brooklyn Masonic Temple tonight to see 100 of the top fixed gear cyclists rip on the world’s steepest and smallest velodrome for the return of Red Bull Mini Drome. 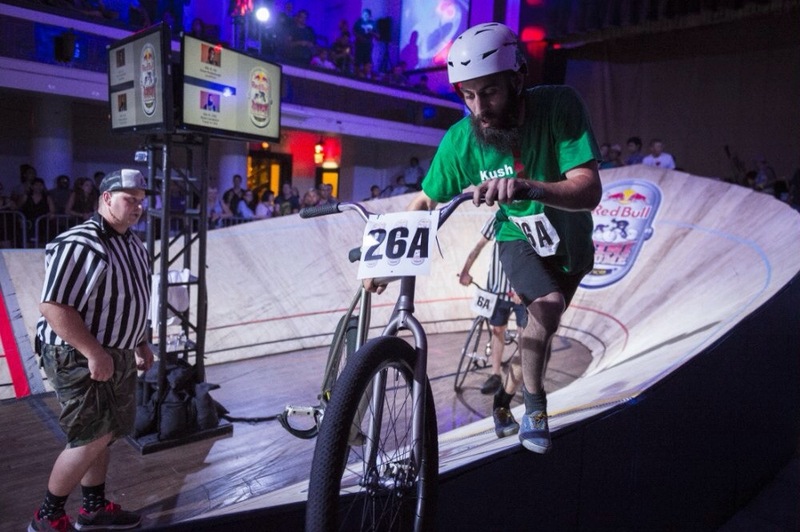 For the second year in a row, 100 passionate fixed gear racers signed up to race in 10-lap heats around steep wooden banks, resembling a mini Olympic cycling track, in the center of one of Brooklyn’s oldest temples. In an exciting team finish, local shop Brooklyn Machine Works teammates Darren Lee and Austin Horse edged out the Lockfoot shop duo to be crowned the competition’s 2014 team champions. 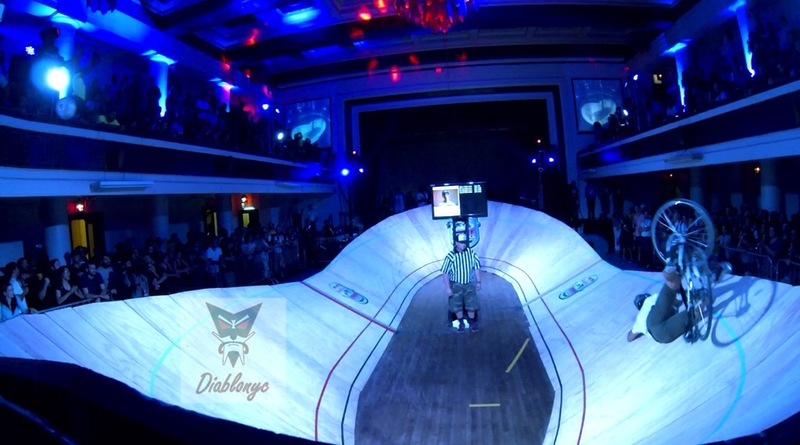 Friday, June 27th, the Mini Drome is back with a vengeance in Brooklyn. 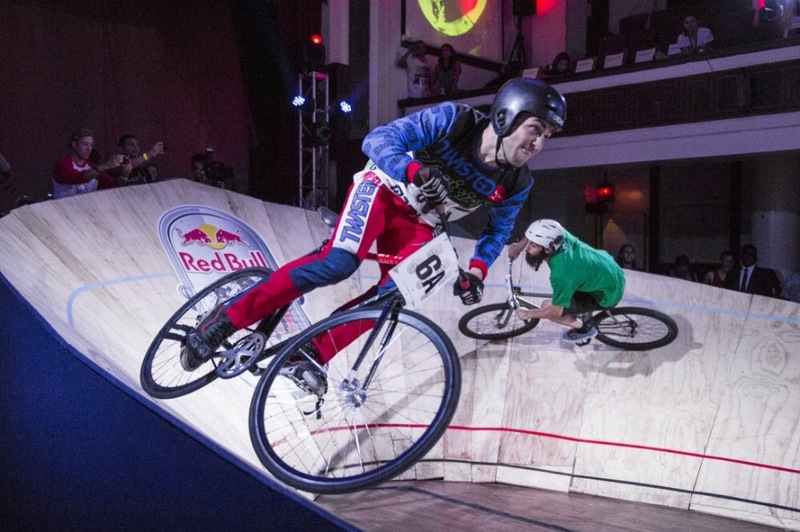 Fixed gear riders will battle it out on the smallest track imaginable. This time, there will be teams. The top 50 cycling teams (two riders each, 100 total riders) from across New York’s five boroughs and surrounding areas.